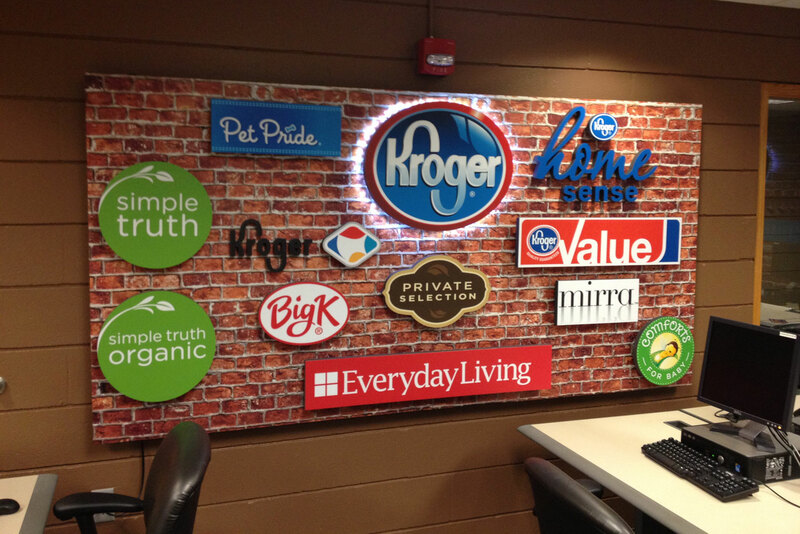 In an article by LexJet they explain that the wall display was mounted to Gatorfoam with a faux brick print on LexJet 8 Mil Production Satin Photo Paper and mounted with LexJet GraphicMount white Adhesive. The panels were laminated with D&K 6 Mil UV Textured Vinyl PSA. 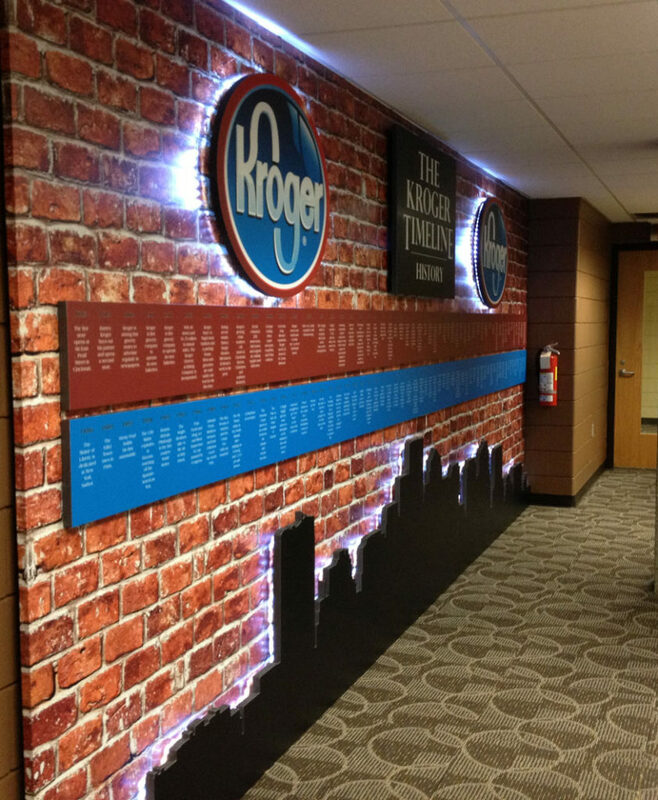 The main panel describes the company’s history since its first store opening in Cincinnati in 1883. It is 240” by 8’ while the other two displays are 4’ by 8’. Each wall display features offset panels for a more dramatic look. 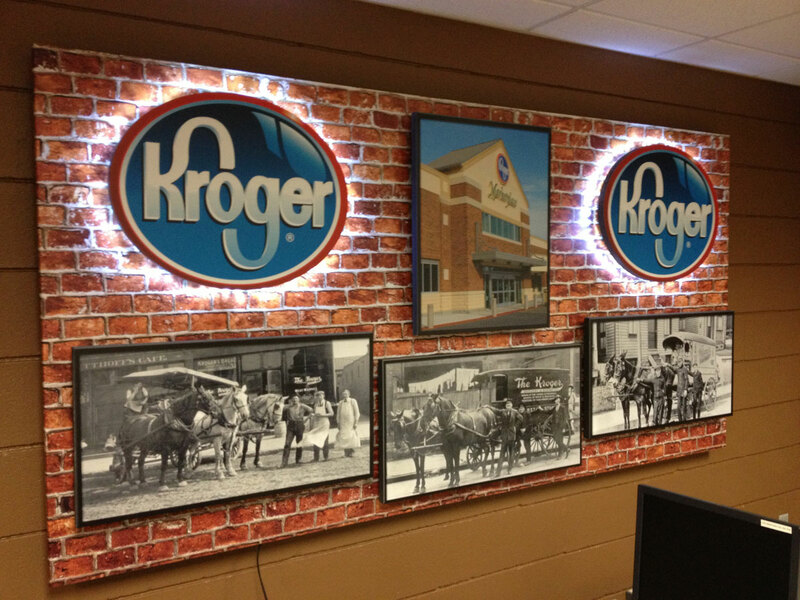 Additionally, the halo-lit effect was created using rope lighting, allowing both the Kroger logo and Cincinnati cityscape to stand out within the various displays. The result is a testament to not only the abilities of Spectra Imaging, but also the quality and caliber of the materials used.